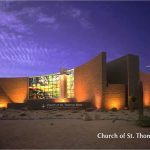 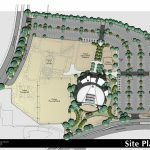 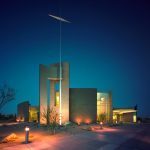 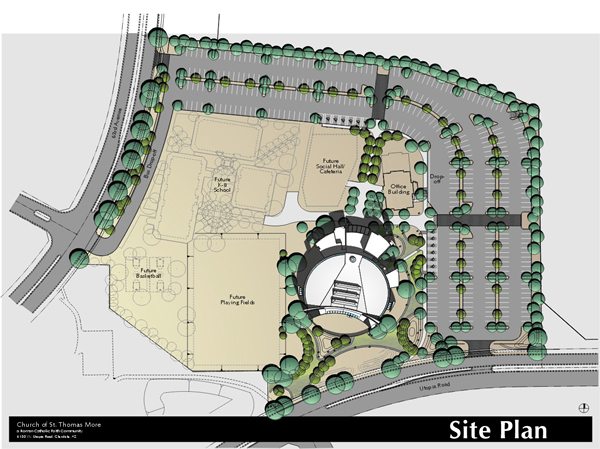 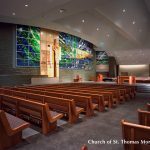 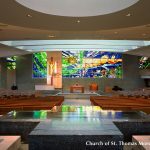 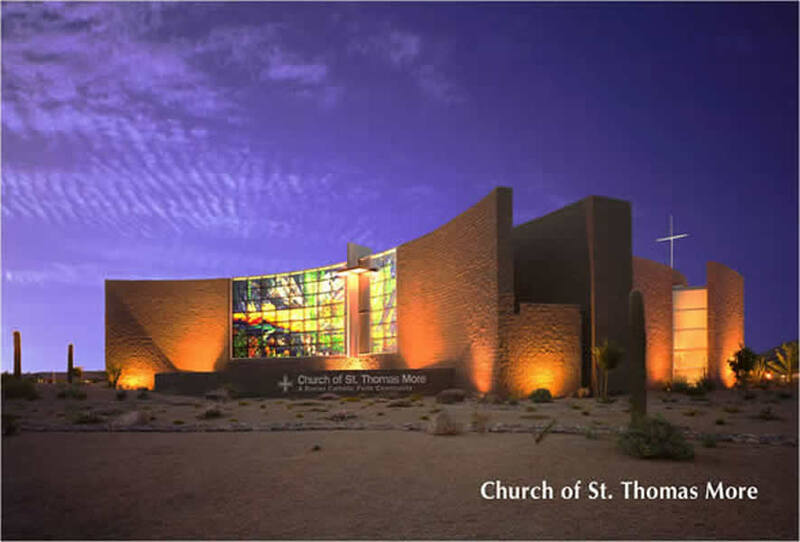 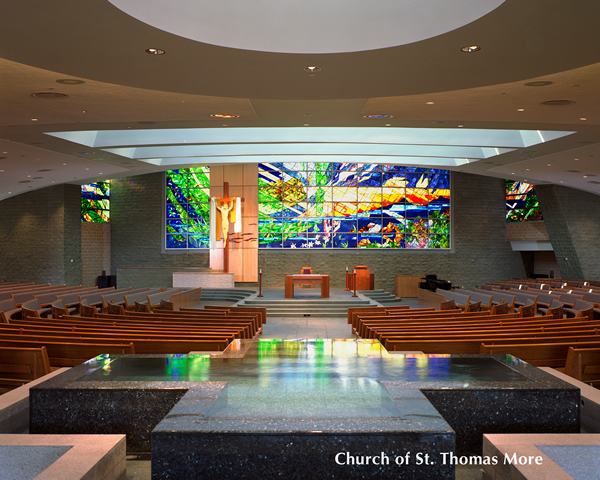 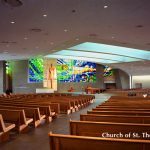 Church of St. Thomas More – Rhino Masonry Inc. 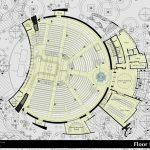 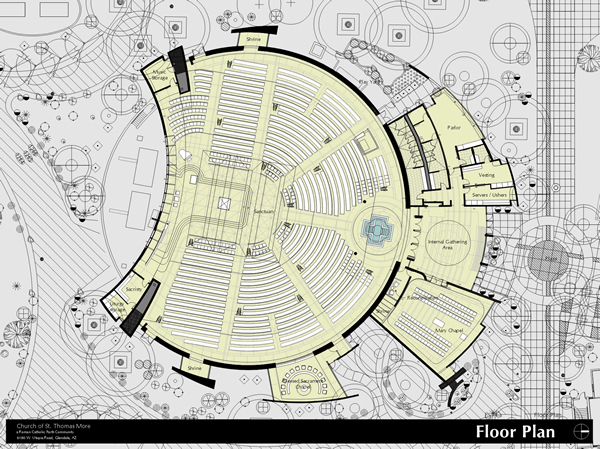 This entire structure was built using radius walls. 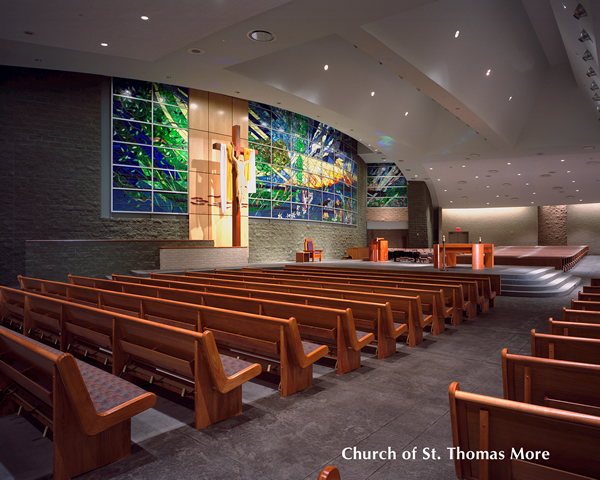 Each block within a wall was individually aligned by our masons' levels. 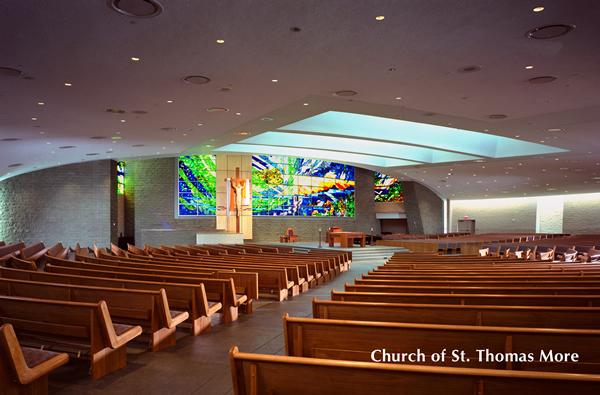 Three different colors of split-face block in a variety of sizes were used throughout the exterior and interior of the church. 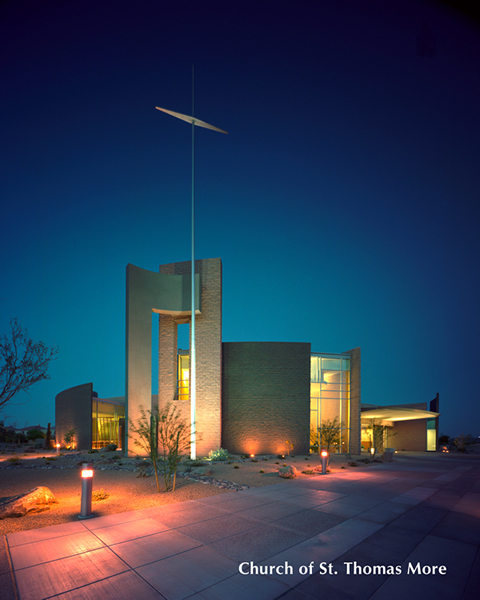 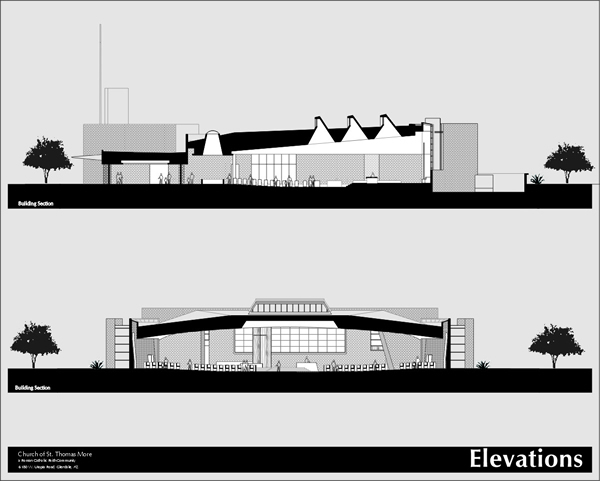 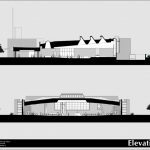 The cantilever wall and battered veneer within the chapel are among the notable design features.